Alaska is filled with natural beauty just waiting for visitors and locals alike to explore, and it is an amazing place to get married – you can spend your special day surrounded by gorgeous nature, your loved ones, and a picturesque setting. Whether you plan on an intimate wedding with just close family and friends or a grand affair with a luxury feel, Alaska has plenty of venues throughout the state for you to choose from. Many are even resorts or hotels, making it easy to find somewhere for your guests to stay after celebrating your marriage. 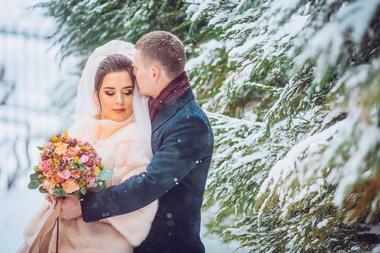 With your dream wedding in mind, you should have no problem finding the perfect venue in Alaska. This wedding venue comes with a planning service that can handle everything for a customized day, whether it is on a glacier nearby or in their gorgeous master-planned garden. 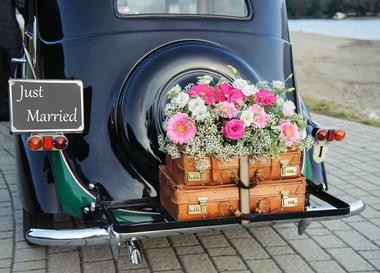 They can take care of the wedding ceremony, flowers, transportation, photography, and everything else. 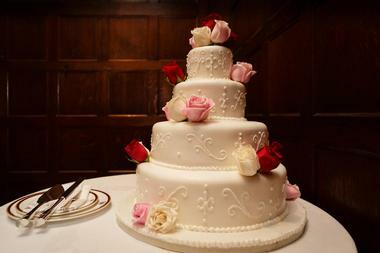 They specialize in custom and intimate weddings, usually between two and fifteen people. Pearson’s Pond also has the option of taking care of your honeymoon, taking you on adventures around the area to hike, go on a glacier cruise, sightsee, and more. 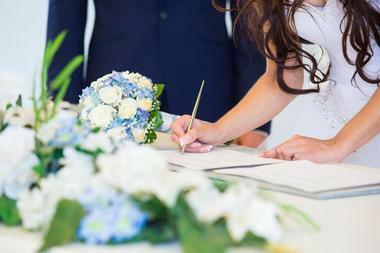 There are a range of wedding options available, and you always get a customized experience for a unique day. Raven Glacier Lodge delivers a picturesque setting for your wedding, no matter the time of year. They also offer on-site catering with delicious food made from scratch that gets rave reviews. The location means that you are surrounded by nature, which is perfect for getting amazing photos on your big day and for your guests to explore during the reception. The lodge offers an ideal setting, and you can use the outdoor space with the building as a backdrop, set up the reception inside, or combine the two to get the best possible experience. As a bonus, the patio also serves as a dance floor, and there is room for the bride to get ready. The Alaska Heavenly Lodge is set up perfectly to deliver outdoor weddings on 12,000 square feet of land with gorgeous flowers and manicured lawns. 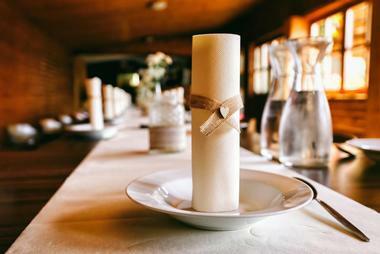 The wedding rental always includes tables, chairs, and linens, along with accessible parking. You are welcome to use the full kitchen yourself, or let your caterer take over. This venue lets you add a personal touch to your wedding and has an on-site reception area with space for 100 guests. A wedding package also includes lodging for 25 guests overnight, which means the entire property is private for your party. There is also free parking for convenience, an outdoor fire pit, BBQ grills, and an included private honeymoon suite. The Alaska Native Heritage Center provides a peaceful and scenic backdrop for all your wedding photos and the big event itself. You can have your reception indoors to take advantage of the eye-catching floor-to-ceiling windows or opt for an outdoor ceremony with amazing views of the lake. The venue is gorgeous no matter the time of the year, and in the summer you will hear birds chirping and rustling leaves while you admire the plush vegetation. In the winter, the lake is covered in snow, highlighting its beauty. In addition to a great photo opportunity, the Alaska Native Heritage Center provides a cultural learning experience for your guests and supports the center’s education efforts. Alpenglow Lodge is part of the Anchorage Ski Club and allows you to host an unforgettable wedding with amazing views. The lodge itself has two stories along with numerous large windows that look out onto mountain views of Anchorage. 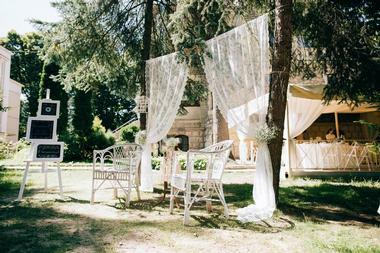 You can also put the spacious lawn area to good use for outdoor ceremonies. For those who want views of the beautiful Chugach range, you can also rent the chairlift weather-permitting. The buffet style kitchen has a front serving counter large enough to hold your food, and there is open catering. 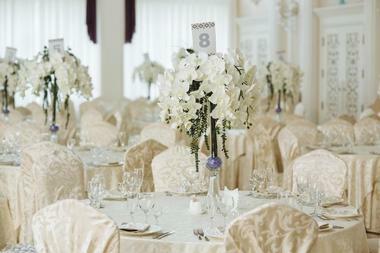 There is room for as many as 500 guests, so you can plan a wedding as large or small as you want. 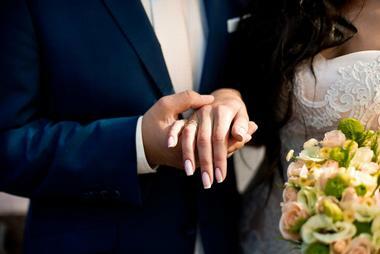 There is no shortage of options when you choose to have your wedding at the Anchorage Marriot Downtown with six event rooms, up to eight breakout rooms, and a total event space of 14,729 square feet. There are flexible seating arrangements, and your guests will appreciate being able to stay right at the hotel. They can even get a discount when you reserve your room block. The venue also has Marriott Certified Wedding Planners with the training to help you coordinate any type of wedding. 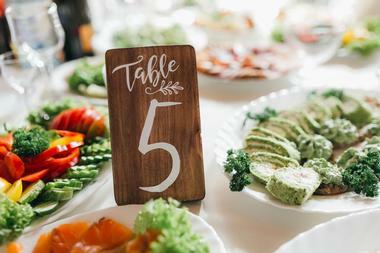 They will work with you to set a budget, choose a menu, arrange your table settings, and find your band, photographer, and florist, among other things. The Birch Leaf Chapel is the ideal artistic building for your small wedding. It was created with the goal of creating an area that was equal parts spiritual and beautiful. It sits on top of piles left by gold miners years and years ago and required 16 craftsmen to complete. Every detail is exquisite, giving your guests any number of things to admire throughout your event. Let the stained glass windows serve as a mesmerizing backdrop for your photos, and if you plan correctly, your guests will be treated to the colors reflecting on the ceiling in a way that mimics the northern lights. 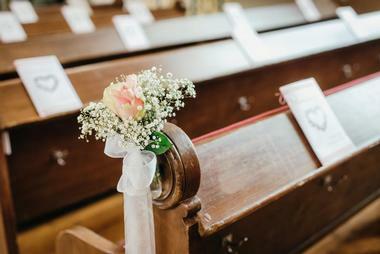 You can fit up to 30 people seated at this wedding venue, making it an intimate setting. Calypso Farm and Ecology Center hosts weddings outdoors for a fun venue complete with rain protection. There is space for up to 75 people, and if you want, they can even provide your meal in the form of farm-fresh produce. Your guests can pass between two tiers, including large windowed tents on the top terrace and a 30-foot yurt with a stove and wood floor on the bottom terrace. Factor in the open space and you’ll find that there is plenty of room for pictures and celebration. When you choose to rent this space for your wedding, you will be supporting the center’s educational programs, which benefit from all the proceeds. If you want, add on a farm tour or fresh flowers. Crow Creek Historic Gold Mine prides itself on providing the bride and groom with a gorgeous facility that is well run and staff that builds a good relationship with you on your big day. 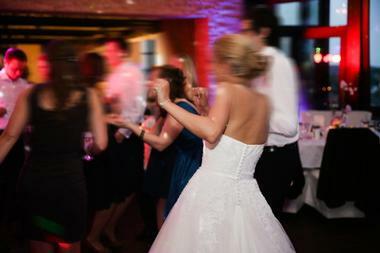 The staff can help you coordinate your wedding and do so at an affordable price. With plenty of outdoor areas and tents to protect you from potential rain, this is a unique setting for a wedding that your guests will not forget. The mine also comes with plenty of history; it was established in 1896 and earned the reputation of being one of the best-known hydraulic gold mining operations in the state. Take photos in front of the historic buildings or mountain scenery or even on a hiking trail. The Driftwood Wedding Lodge lets you say your vows with the beauty of Kachemak Bay in the backdrop, complete with a majestic mountain. The seaside location means you can also take photos along Bishop’s Beach. Guests can stay right on site in spacious modern rooms with views of the Bay. Your wedding party can stay in the Bluffview Lodge or Seaside Lodge, each of which sleep up to 17, while you and your new spouse spend the night in the private Kachemak Cottage. Your wedding rental always includes beachside views and extra parking by the adjoining Elks Club. Choose to have your wedding outside or within the Glacier Gardens Visitors Atrium for a gorgeous day. The Gardens are filled with photo opportunities everywhere you look, and your guests will have the chance to admire plenty of flowers before and after the ceremony. 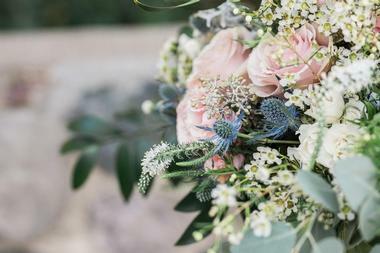 Let the forest provide a backdrop for photos and arches of flowers set up others. The venue can provide tables and chairs and give you a list of local caterers to help you plan the special day with ease. The space is easily large enough to accommodate both the ceremony and reception, if that is what you want from the venue. 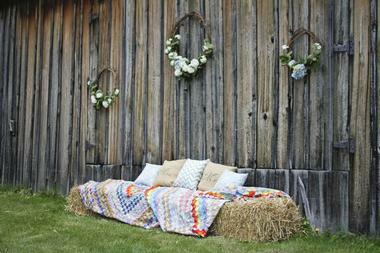 Gloryview Farm lets you get married in front of or inside a beautiful barn surrounded by inviting landscape. 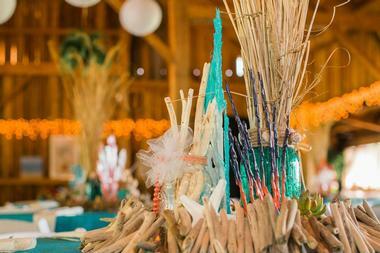 The barn has a rustic, romantic feel that you can customize with your own decorations to create an intimate setting that makes all your guests feel special on your big day. You can also hold an outdoor reception in the pavilion, which has a rustic feel but lets you enjoy the outdoors with the added convenience of shelter. The designated Bride’s Cottage has all the space you and your bridal party need to get ready and is a nice backdrop for your photos. 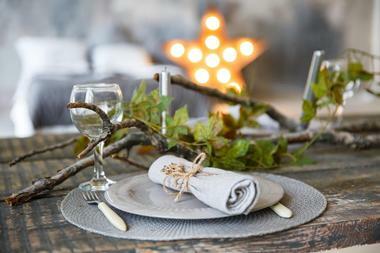 Choose a package to meet your needs, including rustic tables, antique props, and more. The Hilton Anchorage has more than 23,000 square feet of space for events, allowing you to do nearly anything you want on your special day. The grand Alaska Ballroom alone holds as many as 900 guests, while the smaller spaces are perfect for a more intimate wedding. The hotel is centrally located in Anchorage, making it convenient for guests, and you and your loved ones can stay right on site. To make the day go off without a hitch, there are customized menus, wireless internet, and everything else you need. After you tie the knot, just go upstairs to relax in your suite as a newlywed couple. Although you may not realize it, the Kenai Peninsula Fair will gladly host events, including weddings, throughout the year. The diverse venue has space for all types of events, with two exhibit buildings that have more than 12,000 square feet in total. Factor in the gorgeous outdoor stage and you have even more space for the picture-perfect wedding. 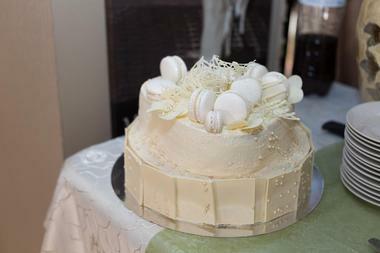 The venue also has a recommended caterer and DJ to save you some work when planning the special day. You can choose an intimate building with space for up to 60 people or opt for the Carol Bock Hall with room for 320. O’Malley’s on the Green is part of the Anchorage Golf Course, offering a brilliant setting for your wedding. In addition to the expansive green lawns, your photos and videos will have the backdrop of the Chugach and Denali Mountain Range. The venue has a team of planners ready to offer as much or as little help as you want to make sure your big day goes off without a hitch. Choose an indoor special event room, set up some chairs along the lawn, or have a casual wedding or reception on the sundeck. 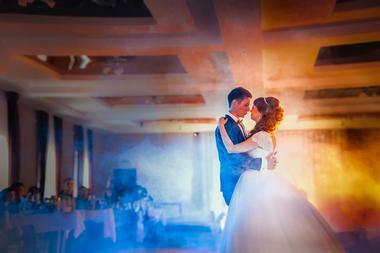 No matter your chosen space, natural lighting abounds, framing you newlyweds perfectly. In addition to being an exciting place to spend the afternoon, the Alaska Aviation Museum is an ideal location for your wedding. There are multiple unique event spaces at a great value, and you just have to choose which of their venues you prefer. You can rent the Main Hangar, which holds 150 standing or 120 sitting. You can fit 15 6-foot round tables, 15 6-foot long tables, and 5 cocktail tables, along with 150 chairs. Or choose the Odom Hangar, which accommodates 200 standing or 150 sitting, with the same table choices but 250 chairs. For a truly unique wedding venue, opt for the Merrill Field Tower, which holds 48 people. If you choose to rent the Main Hangar for your wedding, you can even choose to have full museum access so your guests can explore. Having your wedding at Settlers Bay Lodge lets you choose from one of three private rooms that can hold between 20 and 250 guests, depending on the size of your guest list. They always deliver excellent service and delicious food thanks to their primary function as a restaurant and lounge. 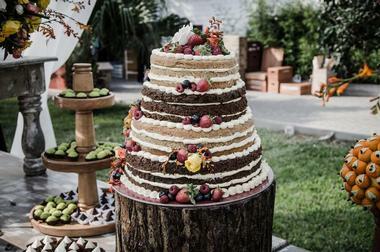 You will enjoy the varied options for your wedding dinner, from meat to seafood to pasta to vegetarian dishes. In addition to the indoor areas, there are also outdoor green spaces with amazing views of the forests and mountains, ideal for framing your wedding ceremony and making an impression on your guests. 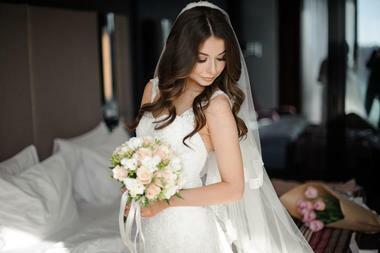 This downtown hotel and spa gladly hosts weddings and even has Wedding Specialists on staff to help you with every aspect, from choosing the venue to selecting catering. 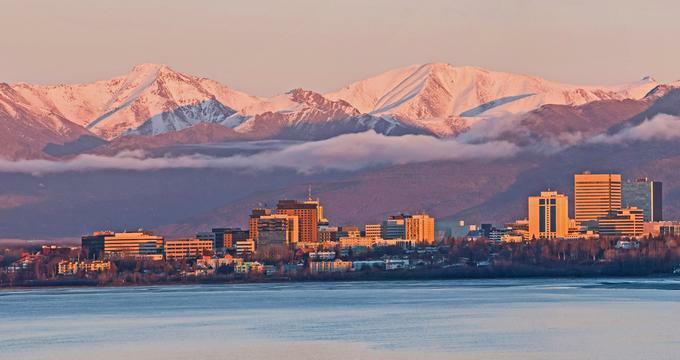 You and your guests will be close to the most popular Anchorage attractions and get stunning views of the city with the mountains in the background. Prepare for your day with a private Ice Spa experience or save it for after you say “I do” to start off your honeymoon on the right foot. The indoor venue holds up to 450 people, and you can customize the reception menu to meet your tastes. You, your spouse, and both sets of parents also get upgraded accommodations, and the hotel gives you a custom wedding website. Snowfire Gardens specializes in organizing stylish and unique weddings. You can use the entire garden for the event and set it up however you want, with more than enough space for tents and seating along with a game of croquet or bocce. 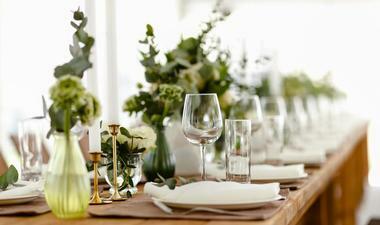 The venue can also work with caterers to create a staging area. All rentals include three days, offering a full day for set up and another for cleanup. There is also full-service planning, which includes help setting up and taking down. 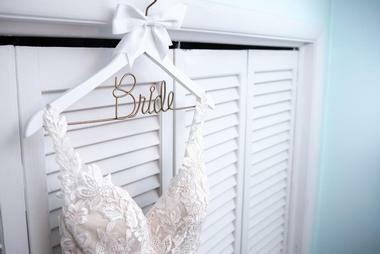 The package also comes with tables and chairs, tablecloths and napkins, a dressing room for the bridal party, a waiting space for the groom and his groomsmen, and a special sign. The Sunset View Resort sits on 7.2 gated acres for romance and privacy on your special day. The grounds include a pavilion, landscaped lawn, gardens, a waterfall, a pond, and a patio, all set against the backdrop of Denali and the lake. For your wedding, you get full house privileges, letting you access the living room, grounds, and more. There is space for 300 wedding guests, including tables and chairs. The resort also has multiple accommodation options so your guests can choose to stay on site, while you and your new spouse can spend your night in the Hideaway Suite. For convenience, they offer several packages to choose from. At Talkeetna Alaskan Lodge, you get to say “I do” against the backdrop of Denali with gorgeous handcrafted architecture around you. There are 212 guest rooms so your guests don’t have to worry about finding somewhere to stay, with group rates available for savings. Get married or have the reception on the outdoor wedding pavilion for an intimate affair or opt for the outdoor deck for a larger group. There are three banquet rooms, and the menus as well as catering are done on site. 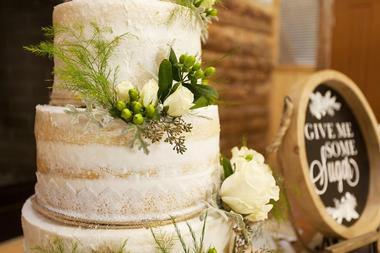 The menus have varied offerings so you can customize the meals on your big day. The Megan Room can accommodate up to 115 guests in a range of arrangements, letting you set up your wedding and reception how you prefer. There is free on-site parking for added convenience and a catering kitchen to make staging your food a breeze. The free Wi-Fi and projector lets you show a cute video to your guests, and you can take advantage of the coffee, tea, and water service. 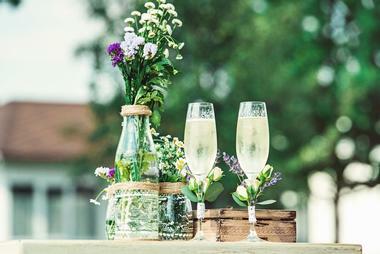 Don’t forget to factor in the outdoor patio when planning your wedding. 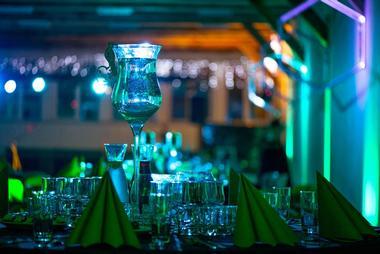 The team at the venue makes planning the event, and executing it, go off without a hitch so you don’t have to worry. Viking Hall is part of the Sons of Norway Bernt Balchen Lodge and offers a quiet, affordable location for your wedding. The hall has a coat room, entry area, kitchen, foyer, restrooms, and spacious main hall. In total, it is about 4,500 square feet, with the main fall measuring 50 by 60 feet, with space for 150 guests. The large stone fireplace has gas inserts to create a romantic display, and you can enjoy the generous picture windows with views of the Chugach Range. The large hardwood dance floor is ready for you and your guests to celebrate all evening, and tables and chairs are provided. The Wedgewood Resort’s Borealis Room, located within its Visitor and Conference Center, is ideal for your wedding ceremony and/or reception. The catering staff will take care of all the details and efficiently manage your requests. 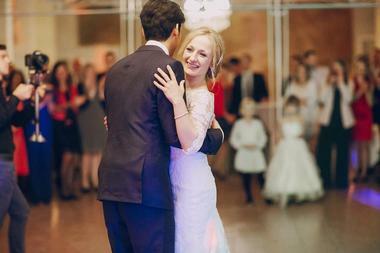 Enjoy the setting of the elegant ballroom with its chandelier lighting while you put the dance floor to good use. There are multiple celebration packages to choose from depending on your dream wedding, and you’ll be pleased to know there are a total of four complementary spaces that can fit as many as 250 guests, plus the optional outdoor Gazebo Patio with its hanging flower baskets, framed by gorgeous landscaping. The resort itself spans 105 acres and is surrounded by a wildlife sanctuary and migratory waterfowl refuge, meaning you should expect amazing outdoor photos.